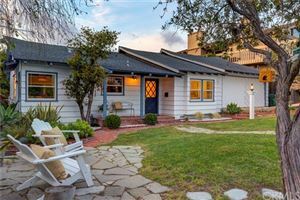 Imagine getting to live in a small seaside community with few of the urban problems of big city life that’s just 30 to 45 commuting minutes from Los Angeles. That’s Manhattan Beach, one of the three beach communities of the Los Angeles South Bay (Manhattan, Hermosa and Redondo Beach) about fifteen miles southwest of downtown Los Angeles and three miles south of the Los Angeles International Airport. Initially a summer retreat, Manhattan has now grown into a city of over 33,000 residents, with its main attributes-great public schools, low crime rate and the small town community atmosphere, prompting many L.A. residents to change their address.The Manhattan Beach Unified School District is responsible for public education in the city of Manhattan Beach. It oversees 5 elementary schools, 1 middle school, and 1 high school. The district as a whole received a score of 896 on the 2005 California Academic Performance Index, making it one of California’s best performing districts. Each individual school also ranks at the top of its respective category. The passage of two bond measures resulted in the construction of the state-of-the-art Manhattan Beach Middle School, and the renovation of all elementary school campuses as well as Mira Costa High School. Newsweek has ranked Mira Costa in the nation’s top 100 high schools. The MCHS Symphony Orchestra recently performed at Carnegie Hall. The district benefits from a high level of parental involvement. Manhattan Beach is a blend of “old hometown” charm and big city sophistication. It is rare to go grocery shopping, visit the post office or ice cream parlor and not run into aschoolmate, parent or neighbor. The city is host to many community events, like the Old Hometown Fair, Holiday Fireworks Festival, International Surf Festival, running and bike races, volleyball and tennis tournaments, and many other events. No wonder some call it “Man-happnin’ Beach”. Manhattan Beach boasts a moderate climate with cool ocean breezes, which keep it cool in the summer and relatively smog free. Manhattan’s beach is consistently rated “A” for its lack of pollution. The focal point of Manhattan Beach is the landmark Manhattan Beach pier, home to an aquarium and marine studies lab. The pier is located in the middle of Manhattan’s quaint downtown area, with its many fine restaurants and small shops. 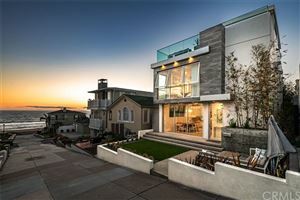 Manhattan Beach real estate is a study of contrasts. Many original beach cottages and small homes remain, although they are rapidly being torn down and recycled into large, expensive homes. The value of land is very high. The focal point in Manhattan Beach is it’s landmark pier and the small downtown shopping and restaurant district that start at the end of the pier. Manhattan’s oceanfront walk, the The Strand, is a unique stretch of oceanfront land that’s home to dog walkers, bike riders, rollerbladers and skateboarders. Manhattan Beach is bisected into east and west sides by Sepulveda, which is also known as the Pacific Coast Highway. Homes within 4 or 5 blocks of the beach are in the Sand Section. Many streets in the Sand Section are “walkstreets”, which are for pedestrians only and highly sought after. Other Westside neighborhoods include the Tre Section and the Hill Section. The Hill Section is known for its ocean views. 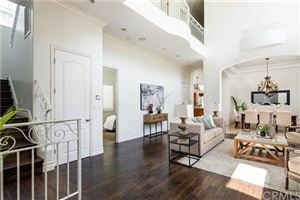 East side neighborhoods include Manhattan Village, which is a gated community, Liberty Village, Manhattan Heights, and the Mira Costa area. Many east side homes sit on large lots. Manhattan Beach is home to the newest television and film production facility in Southern California, Raleigh Manhattan Beach Studios. This is the first studio built from the ground up in California in 60 years. The 550,000 square foot project consists of fourteen art deco sound stages, office space, and related facilities. Some of the tenants producing shows in this studio include 20th Century Fox, “The OC”, “The Practice”, “CSI Miami”, “Boston Public”, and “Cold Case”.”Ally McBeal”, “Pirates of the Caribbean”, and “Panic Room” were produced in Manhattan Beach as well. Many people in the entertainment industry call Manhattan Beach home. 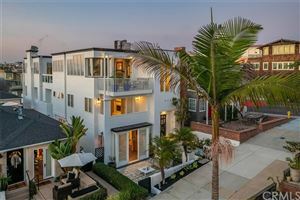 View recently sold property in Manhattan Beach. 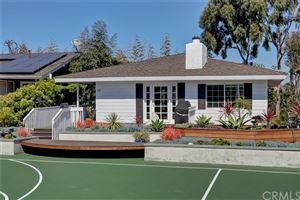 See more statistics and market trends for Manhattan Beach. The official Manhattan Beach City website.